Here on the Asia-Pacific Region we are continually seeking God’s direction and leading for maximum kingdom impact. That leading can sometimes mean a change of ministries and or locations for individuals. The focus and ministry collectively and individually does not stop, it simply changes. Those changes can have significant impacts, but overall we each continue to keep our focus on God’s direction and leading. Keeping this in mind, we would like to make you aware of the following ministry changes that will be coming up in the next few months. Luke and Molly Cole have arrived in Singapore! Molly will be serving at the Regional Office, assisting with personnel and mobilization, while Luke will be serving as the Church Plant Facilitator, coaching and training to further the development and expansion of the Church of the Nazarene. 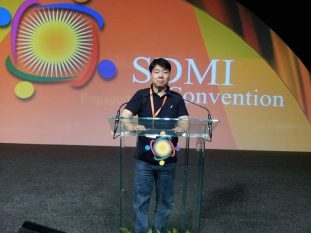 Eun Yup (John) Kim has accepted the position of Regional Discipleship (SDMI) Coordinator for the next quadrennium. Rev. 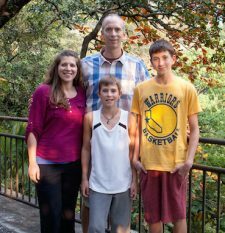 Kim is the Senior Pastor at Tree Planted by the Water Church of the Nazarene in South Korea. We want to thank the Tree Planted by the Water Church for agreeing to share their Senior Pastor with the Region. We welcome Rev. Kim, Luke and Molly to the A-P Region Leadership Team and encourage you to pray for each of them during these months of transition, and new ministry opportunities. While we are excited for these new additions to the A-P team, we have additional changes that are taking place on the Region. Collin and Shireen Elliot have been called back to the Africa Region. Collin has been serving the A-P Region as the New Initiatives Coordinator (Church Planting, Evangelism and Church Growth), and Shireen has embraced the role of Women’s Clergy Coordinator. Grant and Aisling Zweigle will be transitioning to a position in the USA. Grant has been serving as the Dean of Students at Asia-Pacific Nazarene Theological Seminary (APNTS) and most recently has also been the Regional Discipleship (SDMI) Coordinator. Aisling came to us as a ‘365 M’ student in a Cross Cultural Ministry program with Nazarene Theological Seminary (NTS). This program brought her to the Region to work and study in the area of Holistic Child Development. Aisling has accepted a Children’s Pastor assignment in Nampa, Idaho, which necessitates Grant also leaving. While we are sad to see these couples leave our Regional team, we know that God was in the process and that they are simply responding in obedience to His leading. It is therefore with our blessings that we release these two wonderful couples into the hands of the Father who knows the plans that He has for them. They will be concluding their respective assignments for the Region following the close of the General Assembly. Please be sure to pray for them as they prepare to transition to their new assignments and residences.